Kenya on Sunday faced their first defeat at the 2018 World FIVB Championships after going down in straight sets to strong Serbian side in Pool D played at the Hamamatsu Hall in Japan. Despite a strong start on Saturday where they edged Kazakhstan 3-0 in their opening match, Kenya lost 3-0 (25-16, 25-9, 25-8) against one of the strongest sides in the Pool and one of the best teams in the world. The Serbians were powered by a lethal Jovana Stevanovic who garnered nine points for her side supported by Brankica Mihajlovic who scored eight points and Stefana Veljkovic seven points. Kenya captain Mercy Moim was the highest scorer for Kenya as she managed seven kills. 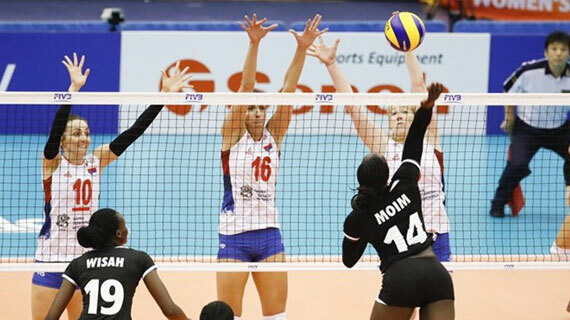 Kenya will next face Puerto Rico on Monday morning.